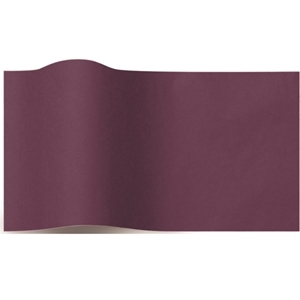 Add a level of sophistication to packages with our premium quality Eggplant Solid Tissue Paper. This eco-friendly tissue paper contains on average 65% post-industrial and 10% post-consumer recycled content. Use with solid colored, or patterned, bags to complement your packaging products.